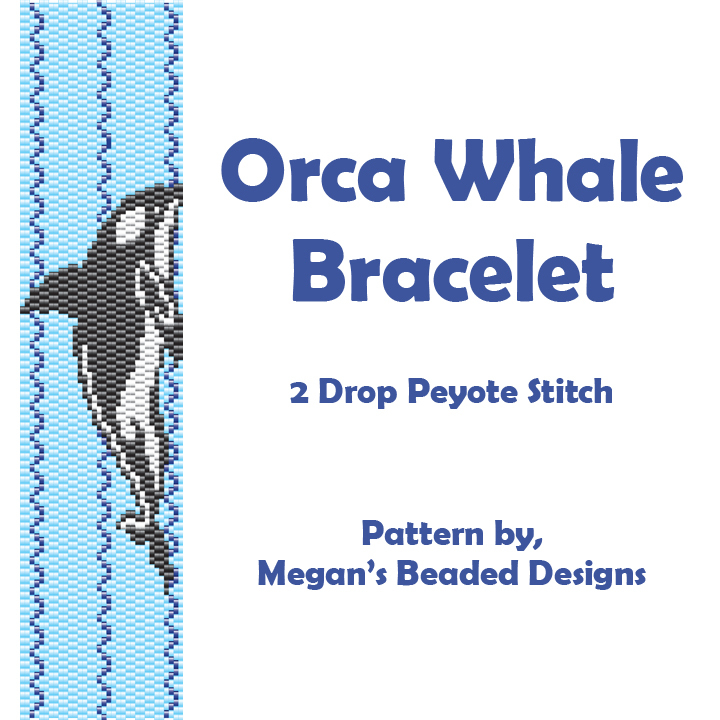 This fun 2-drop bracelet design depicts a swimming black and white Orca whale in a pattern of blue ocean waves. 2-drop peyote works up twice as fast as regular peyote! This 6-page beading pattern includes a realistic thumbnail of completed bracelet, enlarged, full-color pattern chart for easy following, and a detailed word chart to suit all preferences. Design uses 4 Delica colors, with number suggestions in the pattern. Knowledge of peyote or brick stitch required, as stitch instructions are not included in the pattern.